Gianluca, do you know that when I’m sitting in absolute silence I hear your voice? Piero, do you know that even in the middle of a conversation you are suddenly singing opera in my head and it interrupts my train of thought? Ignazio, do you know that I can feel your song finding its way gently, yet swiftly from my ears to my heart? Do you know that I can almost taste the words “Il Volo” ? Oh, my three angels of soul, do you know that these things happen not only to me? 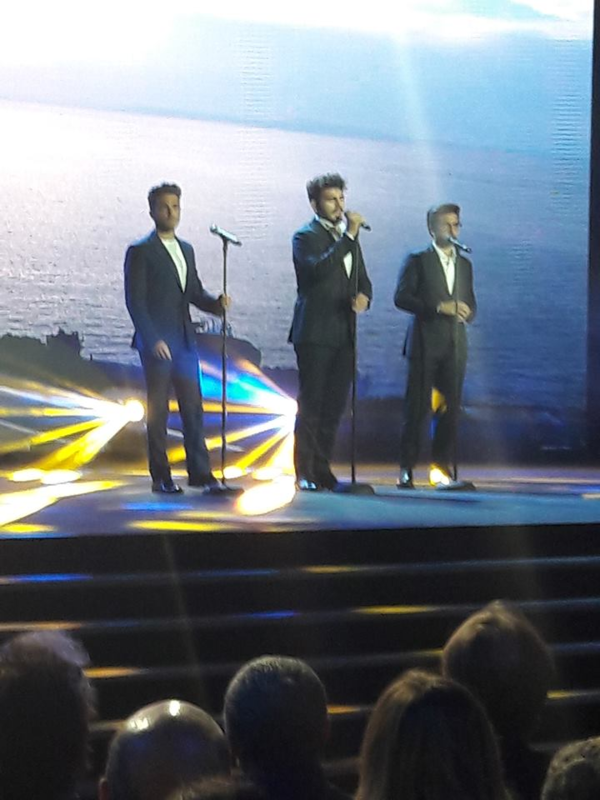 Previous PostAll Are Safe…Next PostMexico Welcomes back Il Volo! You said it, Marie! Thanks so much for speaking from our heart to The Guys’ ears! Thank you, Jeanine. Always good to hear from you! I think all our hearts belong to them. Oh Marie, that was really hit the right note! ( see what I did there?) I truly couldn’t agree with you more, except I think that sneaky devil in line two invades my thoughts at the more AND my dreams! Aiiieeee! Brava Marie, all you said is valid for all of us, but you’ve forgotten the nights, because these three puppies are insinuating even in our dreams. Two days ago I just dreamed Ignazio, a very short dream, we were walking on a road in reverse positions and when I realized that it was him that I would cross I did not know what to do, I thought (in the dream), greeting him politely and enough , instead he came to me saying “But hello how are you?” as if we had known each other for years, I was in the seventh heaven. All this, I woke up with this beautiful feeling. only dream I have had of the three puppies( I love that) is one I had of Gianluca. I dreamed I was in Italy with a friend, and we were walking along a street in Montepagano and came upon Gianluca playing soccer in the street with some boys. Thank you, Daniela. They do not appear to me in my dreams. Never have. God knows they are invited! I’m afraid if they did I wouldn’t want to wake up. Probably not a good thing! 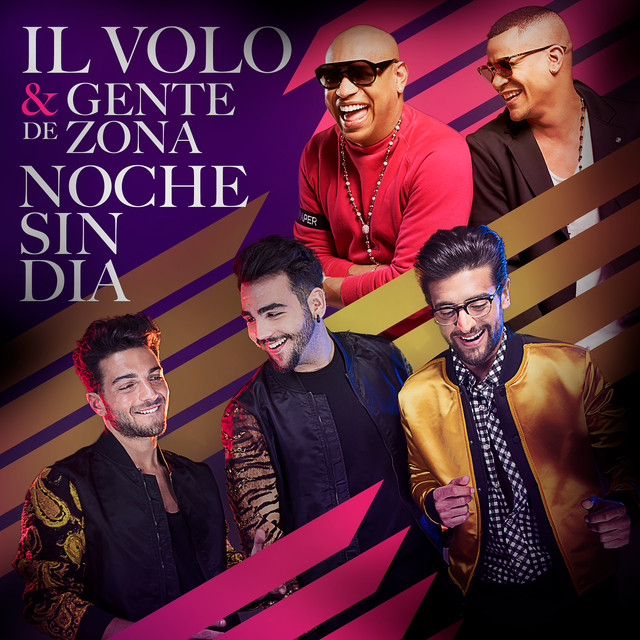 I know I Did go to the 2013 IL VOLO concert at Radio City Music Hall in my dreams, and I had the sore smiling cheeks to show for it, but I don’t REMEMBER my dreams! Ackh! That dream by far would be the one I would like to have remembered in detail! Maybe I can start remembering my IL VOLO dreams, if none others! Thanks for sharing your sweet dreamy experiences! the sages say, dream world and waking world are the same…. I loved the poem Marie, and I think the guys would love it too. Thank you, Jill. Maybe they did. Marie, all I can think of to say is “amen”. Here I thought they just did that to me !! Good to know there are other’s !! I knew there had to be plenty of us. Lovely poem. Hope your friend is better. Thank you, Gina and Good Morning. Thanks, Dorothy. Believe me, I understand mute, brain dead and loud car singing. Oh Marie–you certainly touched a chord within all of us with that! Thank you very much, Penina. Thank you, Joanie. I hope your beautiful home is undamaged. Thank you for your concern my dear Marie !! I am one of the lucky ones !! My home is not damaged and the power has been restored. However I really feel for those people who are struggling too get their life back together !! Mother Nature has been going ballistic !!! She needs to be on tranquilizers pronto !! So happy to hear that, Joanie. The house part…not tranqulizing Mother nature. Good idea though. Marie, you express exactly what happens to me! So strange to be having a conversation with someone, all the while Il Volo music is singing in my head. Their music is completely imbedded into my life. 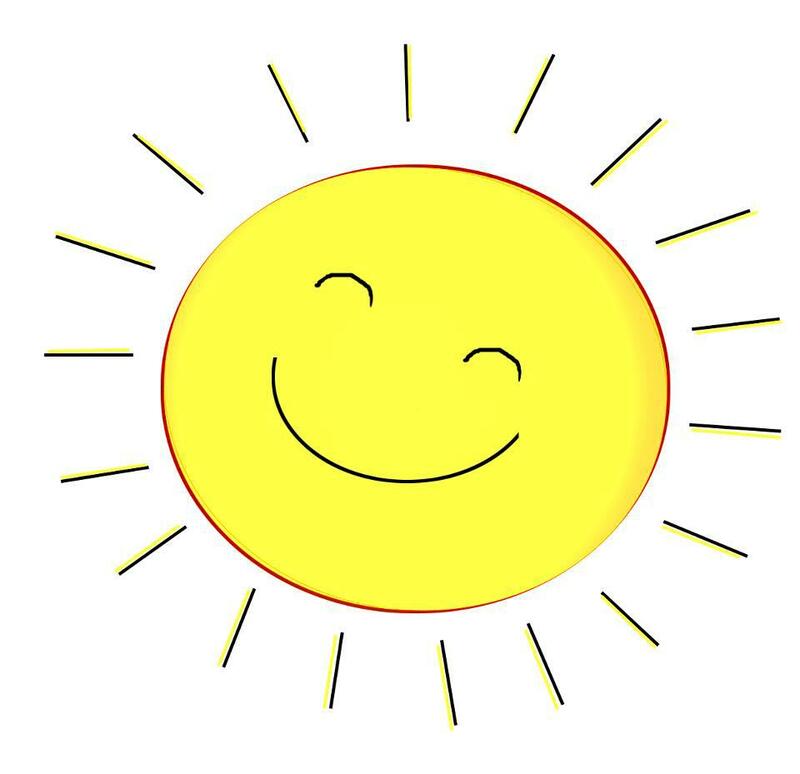 It makes me happy . Janet, I think everyone of us here do our best to thank that wonderful trio for all the happiness going on in our heads. Ah Marie you did It again! A very dear and gentle poem. You put into words exactly the effect that Gianluca, Piero and Ignazio has on all of us. Thank you and please keep on treating us with your talent. Somehow we are all on the same flow. That’s il volo-if you love them, then totally! The voices, the personalities, the words, flow through us like liquid gold. Heavenly! Oh, Astrid, you nailed it! Thank you Marie your words are beautiful and so fitting. Your words ring true as I go through my day and see their beautiful smiles in my mind, hear their powerful voices in my heart and often wonder what they are doing at a particular time of day. I always go to sleep at night hoping to dream of them, especially Ignazio. Thank you for putting your lovely words to this poem and saying how we all truly feel about our angels. Thank you, Margaret. I’m waiting and hoping for that dream…for a really, really long dream. With my luck I’ll probably dream about Justin Bieber. No offence Bieber fans. That would be a nightmare, not a dream! Lovely poem Marie. Really touching. Really. Our friend @mariecrider of @IlVoloFlightCrw touches our hearts again! Love & gratitude to you, Marie! You were sweet to do that. Thank you. Love back to you, my dear Jeanine. Always a pleasure to share your Love, Creativity, & sometimes Sassiness with the world of Twitter, Marie! 😊 Amazing how much I Like that Word! oh Marie, this is so very lovely. so charming. to the point. on target. Grazie, from my heart, grazie. I am having a very ugly sort of friday and I had to take a break and just sit there and stare into space like some whacked out Wyll E. Coyote. At that point the radio station in my head insists on playing IL VOLO but all I am getting are just mid song snippets of all of them. And its okay because even snippets of songs are better than the craziness of my work and the rest of the world. Do any of you remember the Calgon ad and the person would always say ” Take me away Calgon!” as they sank into the bubbles? Are you old enough to remember the Ajax, the foaming cleanser ads? They also took you down the drain! Frankly if Il Volo were at the bottom of the drain, I’d jump right in! Hope your weekend is better than your Friday, Pirate. Hoping today is better for you, Pirate! Soaring with our LoveLit ragazzi! Marie, Love feeds and inspires creativity, happiness, health; that is for sure. Am touched by your sweet, heartfelt poem. (I also was laughing from many of your replies and from others’, all the way down to this comment area. 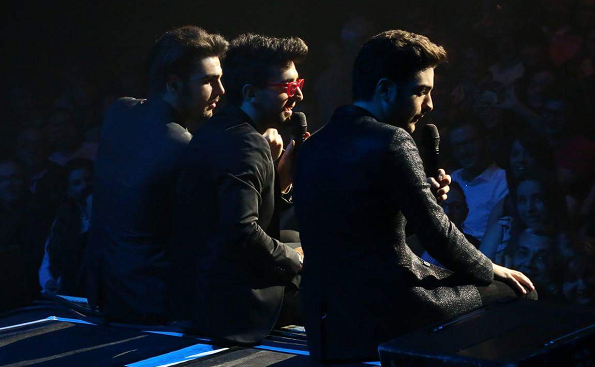 Fascinated by the dreams with Il Volo in them. Here’s one of a couple I’ve had: In a big, old kitchen in a large, old. unfamiliar house where Il Volo, plus some other people and I are all standing around catching quick breakfasts after we had all slept in a big bedroom with individual beds. Your (plural) Ignazio happened to be sleeping in the bed next to mine. (He did look very cute with tousled hair). Last thing of the dream is in that kitchen next morning and everyone is in a hurry to get somewhere. Piero deliberately leaves his jacket, slung over the back of a chair, as we’re all going to return to that house later in the day. Holy moly, Laura! What an awesome dream! Thank goodness there are dreams to enjoy between hurricanes and their clean-up! Marie and all our Flight Crew are So Good at making us smile and keeping us informed! This morning I recorded into my phone what makes my Heart Sing! Of course, first on the list is IL VOLO! 18 minutes of recording, and I was just getting started! I’ve been in a good mood all day, more energy than the past few years, and happy-dancing everywhere I go. If you need a lift, you’ll love this! Still waiting for that dream. Laura! I would like the address of that house…PLEASE! Oh! So unfair! You stop dreaming about him!!! My turn. Won’t tell Mara. She would have turned A to stone. I personally would have made my self wake up when you did. Odd to feel that way, but there you go.